HIT! Cheap flights to Thailand: Bangkok for €363! Have you dreamed about going to Thailand in the main season before the end of this year? You can now make your dreams come true with this great offer! 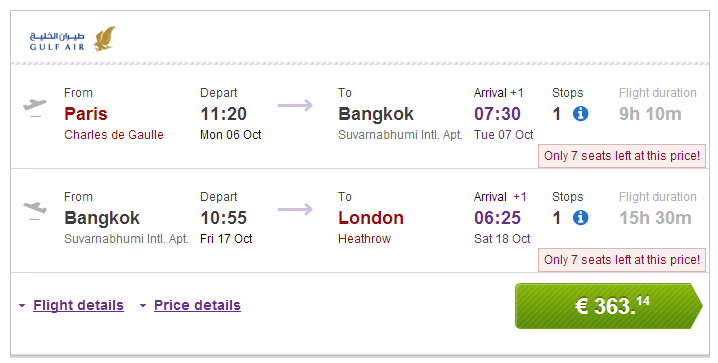 Multicity flights Paris – Bangkok – London are now available for only €363. The flight operated by Gulf Air has one stopover in Bahrain, 23 kg luggage is included. « Cheap flights to Italy: Warsaw-Rome for only €30!